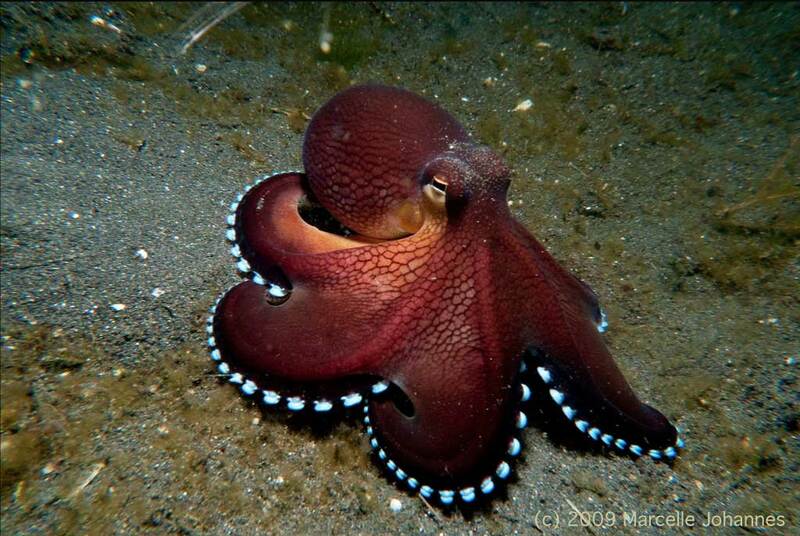 They call this stunning creature a Coconut Octopus. Jakarta, Indonesia based photographer, Marcelle Johannes, captured this shot on his first dive at Lembeh Strait and posted it on his flickr site. Amphioctopus marginatus, also known as the coconut octopus and veined octopus, is a medium-sized cephalopod belonging to the genus Amphioctopus. It is found in tropical waters of the western Pacific Ocean. It commonly preys upon shrimp, crabs, and clams, and displays unusual behaviour, including bipedal walking and gathering and using coconut shells and seashells for shelter. While fascinating facts, I prefer to admire the colors and design of this beautiful creature. Check out all the mandala-like shapes: the head, the eyes, the blue-white suckers. Even the way it moves is circular and mandala-like. And how incredible that it can walk on the ocean floor. Amazing! 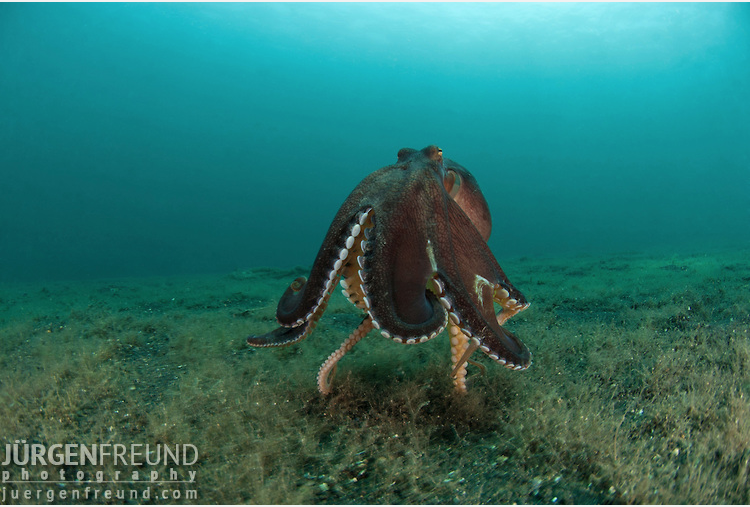 At first glance, it may seem that an octopus would be a less-than-attractive being; however upon closer review, it’s actually quite lovely. Today’s MotD reminds of what we miss out on when we judge a “book” by its cover…let’s take an extra moment to look again.